My career goal is to help the Internet grow. Since 2010 I have been leading a multi-campus research project on the development of a new Internet architecture called Named Data Networking (NDN) funded by NSF. We will be celebrating NDN project’s 5th anniversary in September (2015). Although NDN has attracted a fair amount of media attention (e.g. 1, 2, 3), it is only at the end of its beginning. I hope to see NDN become more visible on the horizon in next 5 years. 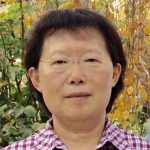 UCLA Computer Science Department’s Internet Research Lab (IRL) has many different projects which are guided by Dr. Lixia Zhang. IRL’s research areas include fault tolerance in large scale distributed systems, Internet routing infrastructure, Inter-domain Routing (BGP), and protocol design principles for large-scale, self-organizing systems. You can find a list of our latest funded projects on the website.